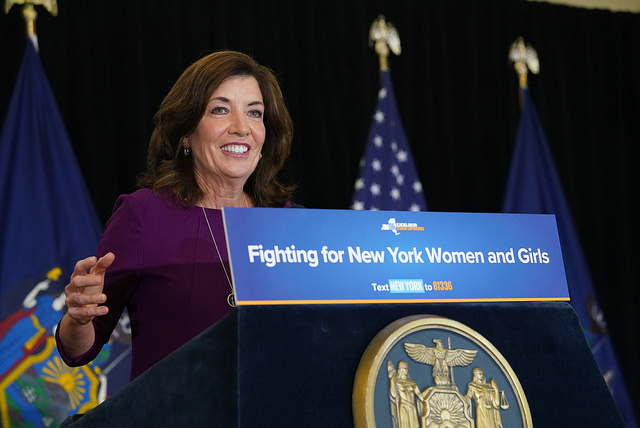 “I was used as a resource, as someone who has lived this experience personally, which is why I’m so passionate about standing up for women,” Hochul said while debating her Democratic primary challenger, City Council Member Jumaane Williams. 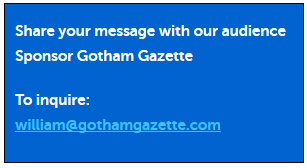 “I was there helping chart the course that the state ended up adopting,” she added, responding to a question from Gotham Gazette editor Ben Max, who moderated the debate hosted by Manhattan Neighborhood Network. Following the debate, Hochul told a group of reporters that her “views were taken into consideration” in the legislation, adding context to the apparent debate revelation, which came after months of criticism aimed at Governor Andrew Cuomo, Hochul’s running-mate, and legislative leaders, over a lack of public hearings and female input on the legislation. Throughout the race and the debate, Hochul has fended off criticism from Williams — an insurgent running to the lieutenant governor’s left on most issues while promising to reinvent the position if elected — who argues her role has in practice been merely a ceremonial ribbon-cutting one. She said Wednesday that not only has she had a hand in a variety of policy work, but that ribbon-cuttings should not be denigrated, given that they show something positive happening that benefits constituents. Although the state’s new anti-sexual harassment laws have been heavily touted by Cuomo, Hochul and their allies, there has been ongoing criticism that they were passed without the direct input of elected women or harassment victims. Instead, the behind-closed-doors negotiations involved four elected men: Cuomo, Assembly Speaker Carl Heastie, Senate Majority Leader John Flanagan, and Senator Jeff Klein, then-leader of the now-defunct Senate Independent Democratic Conference, who has been accused by a former staffer of forcibly kissing her. In the lead-up to those final negotiations before the larger state budget deal of which the anti-harassment bills were a part, Cuomo’s office had said that Senate Minority Leader Andrea Stewart-Cousins, a Democrat and the only woman leader of a legislative conference, would be included in the talks on harassment prevention. But she was not. Amid criticism, neither the governor nor anyone from his team publicly indicated that Hochul had been involved. “We need to create victim-informed laws by listening to workers across industries, in public hearings,” Pasarell said. For her part, Senator Stewart-Cousins, who was briefed on discussions but not included in them, said in June on the Max & Murphy podcast that it was “strange” to her that she did not have a seat at the table when the legislation was being drafted. This line of criticism prompted pushback from some in the governor’s office, who noted that there were female aides who had a hand in crafting the sexual harassment legislation. 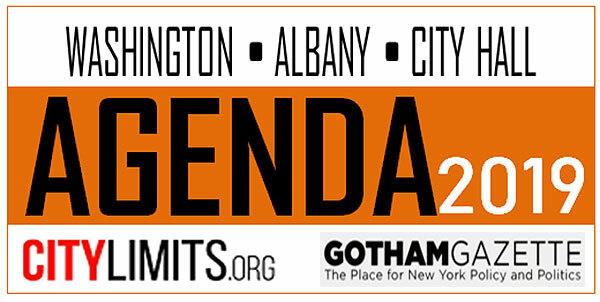 There was no mention of Hochul. Asked for more explanation the day after the Hochul-Williams debate, Haley Viccaro, a spokesperson for Hochul, described the lieutenant governor’s role in informing the anti-sexual harassment legislation. Viccaro went on to say that Hochul was “most focused” on ensuring that the sexual harassment policy applied to both public and private employers. “The Lieutenant Governor feels strongly that all New Yorkers deserve to have a safe and harassment-free workplace, and she has been very vocal that there must be a standard that reflects our seismic societal shift to a culture that treats men and women equally," she said. In a statement, Dani Lever, a spokesperson for Governor Cuomo, echoed the sentiment expressed by the lieutenant governor during Wednesday’s debate.